January has been dreary, it’s true. Its gray clouds have deposited a thin layer of gross, mushy ice not only on our sidewalks, but also on our souls. But a new month dawns this weekend, and with it, a smorgasbord of action served up on screens across New York—just the thing to thaw you out. 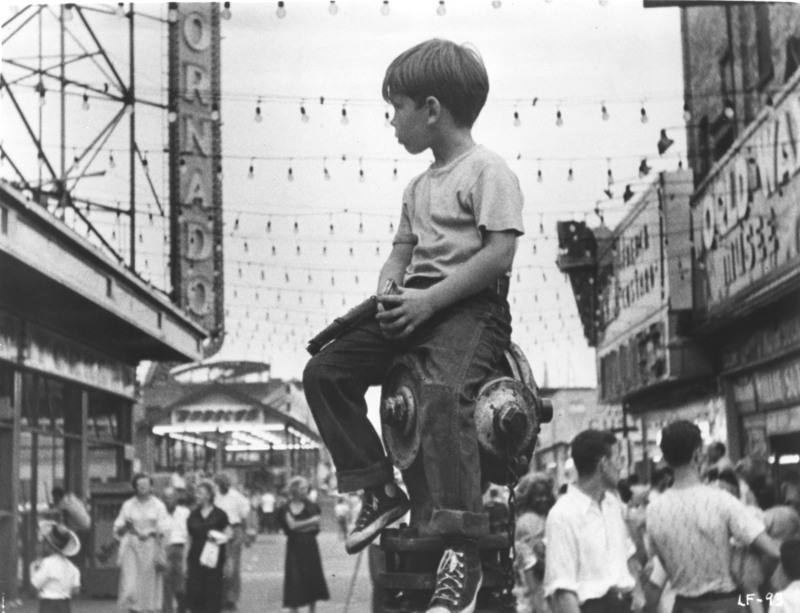 Your feast begins at Film Forum, where from Friday through Sunday at multiple times (check their listings) you can watch Little Fugitive, a 1953 movie about a young boy on the run from the law—or so he thinks—at Coney Island. The realism of his adventures, filmed in part with hidden cameras, was an early inspiration for the French New Wave. If you want to ramp things up even more, head down to the Spectacle Theater in Williamsburg, where you’ll find a movie so American, it had to be imported. American Hunter, an originally Indonesian-language film directed by an enigmatic figure known only as Arizal, tells the story of Jake Carver, an American secret agent battling the forces of evil in a world filled with explosions, roundhouse kicks, and motorcycle jumps. Despite having been released in 1988, it looks a decade and a half older, but who needs modernity when you have the timeless tale of one man and his hungry pursuit of microfilm documents (and justice)? The showing begins Saturday night at midnight, as is only appropriate. Finally, another secret agent makes his appearance when A Shot in the Dark, the second film in the Pink Panther series, comes to the Film Society of Lincoln Center, Saturday and Sunday at 2 PM. Peter Sellers plays Inspector Clouseau in the 1964 comedy about a tangled European murder mystery. You’ll laugh, you’ll cry, you’ll be able to pretend—if only for a moment—that the new Pink Panther movies with Steve Martin never happened. Written by: Shane Cummerford on February 1, 2013. Last revised by: Double Exposure, our reviewer, on February 2, 2013.